HTPC Face Off: VIA EPIA to the rescue? 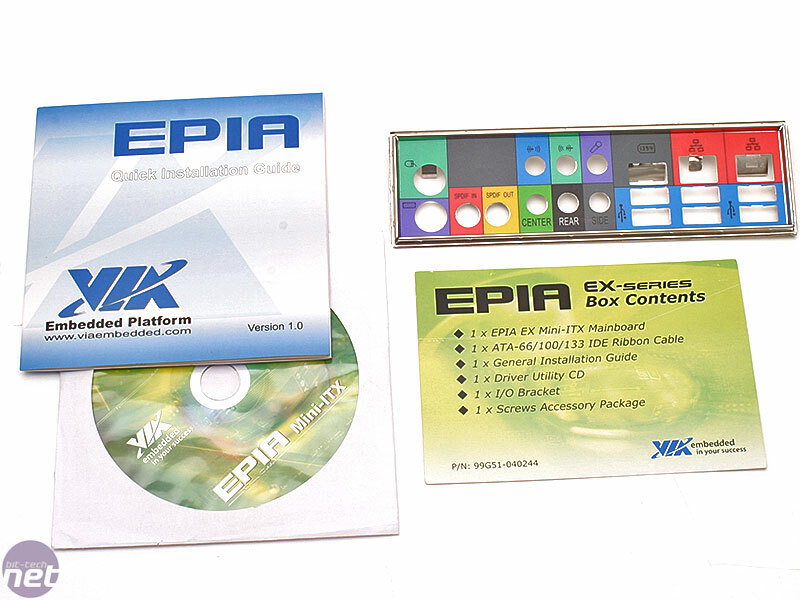 There's no doubt that it's been a long while since we reviewed an EPIA board. 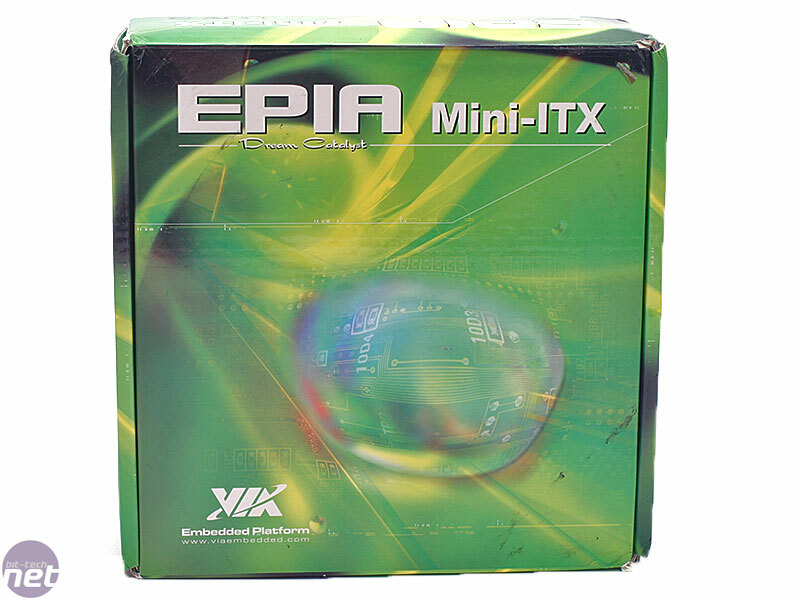 VIA has gone from strength to strength with its mini-ITX line of motherboards that have arguably owned the consumer industry in its five years of existence. Despite the patent battles between VIA and the respective blue behemoth (Intel), EPIA boards are still arriving in all shapes and sizes. Said big blue company is putting the squeeze on poor VIA, in more ways than one, with a push to use more mini-ITX motherboards in its line up. It might have a far superior R&D budget but it doesn't have the brand awareness and few steps in front that VIA already has, as well as the ultra low power components that are ever so popular. As much as we're all for efficient computation here at bit-tech, at what point does it actually impede on what you want to do with it? Traditionally VIA CPUs have been tarred with a very poor performance brush, however now VIA has its new C7 CPU, which comes on a much faster bus and also has an improved clock speed too. Is this enough to keep up with today’s YouTube loving, High-Definition watching, iPhone obsessed generation though? 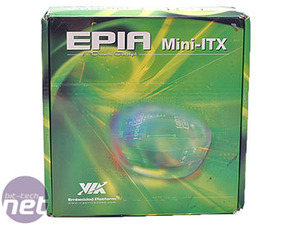 After much thought, a few arguments and an extreme Guitar Hero play off complete with power slides, we decided to pit the EPIA EX motherboard, against a home theatre PC (HTPC) system you could actually buy for around the same price. 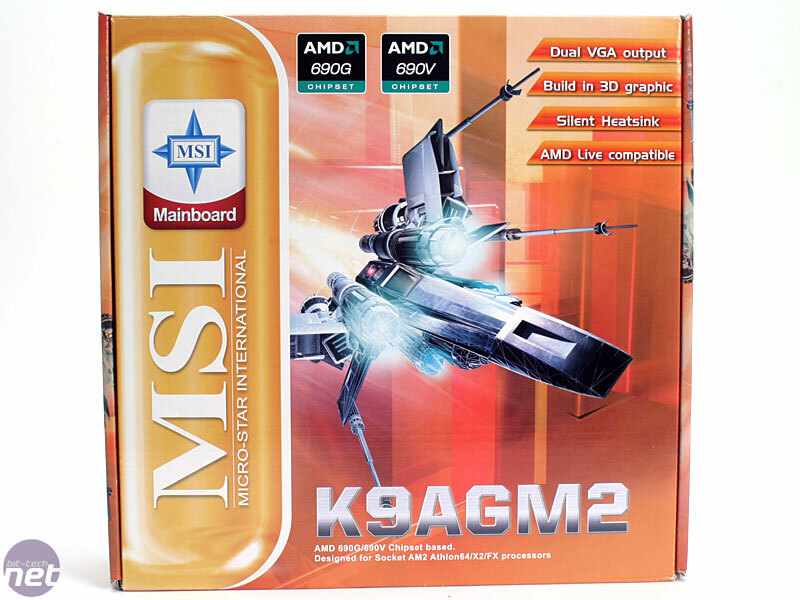 We came up with an AMD 690G system, based on the MSI K9AGM2 motherboard and one of AMD's new low power Athlon X2 BE-2350 CPUs. It's a slightly bigger form factor at micro-ATX and it has a smaller variety of features, but it still comes with HDMI and supports protected content needed for much of the "next generation" High-Definition media. So is the EPIA EX 15000G enough to fit the bill saving us from needing an overpowered AMD beast, or is it there a bare minimum you should strive for? And that’s it. There is no USB or Firewire PCI bracket in the box, and even worse, there aren't any SATA cables either. Admittedly the PCI bracket would take up the only PCI space in a mini-ITX case, but it would be nice to have the option for those that intend to use USB equipment instead of the PCI slot. 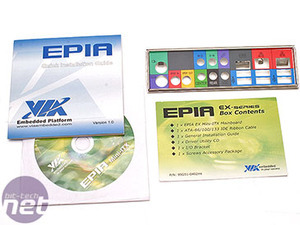 The EPIA quick installation guide doesn’t even reference the board in the box, it’s a generic guide and some of the contents don’t even correlate directly to the motherboard's connections. There is no manual in the box either, which would be particularly important in this case because of the unique features and certain confusing BIOS options. In all we feel it falls far short of where the bar is. 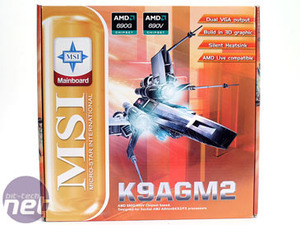 The MSI comes with a slightly better but a by no means complete package. 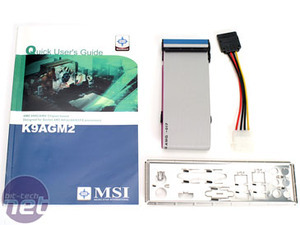 You get a SATA cable and Molex to SATA adapter, but it's one of only four needed for all the ports. 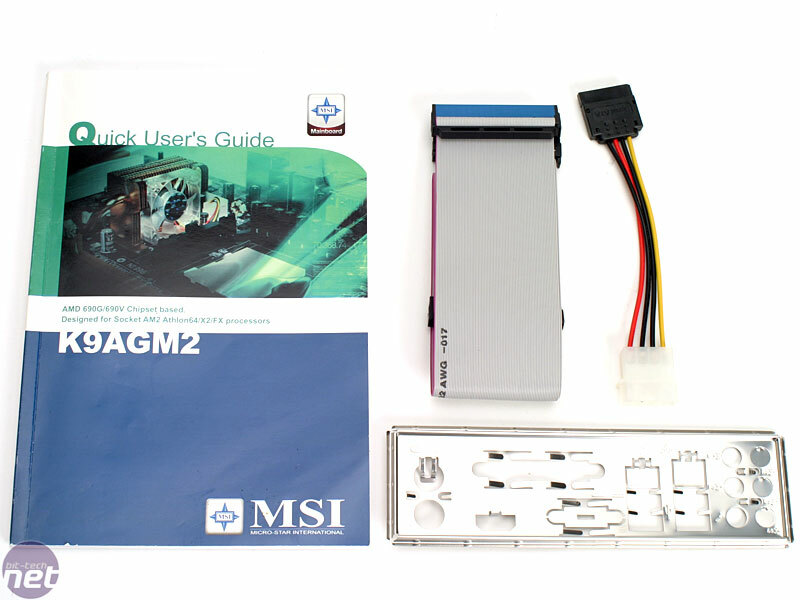 MSI does include a floppy connector unlike VIA, but there is no cable included in the box. There is a proper detailed manual that's specific to the board you're buying though, and that's always more useful in our eyes.